Dynamic look, perfect function, maximum safety - united in the newest generation of Eskadron Flexisoft AIR EASY protection boots. 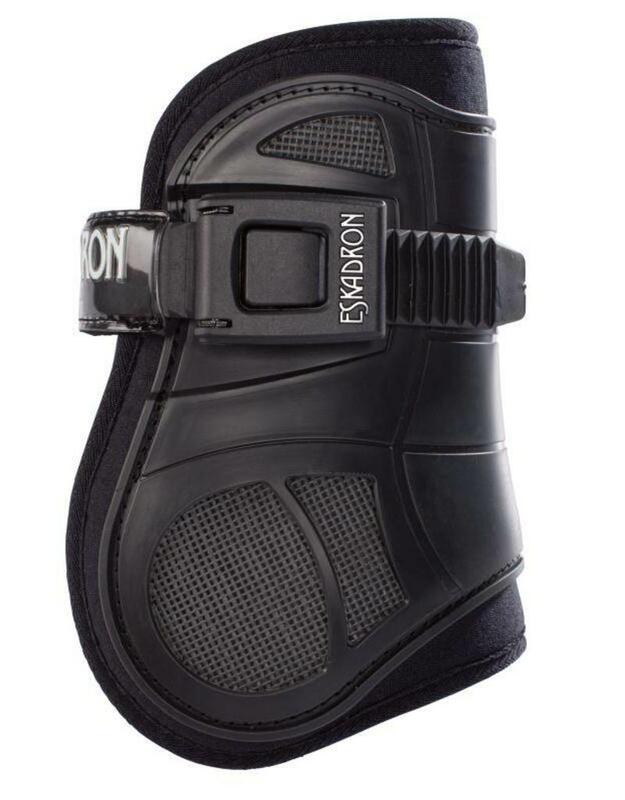 For optimum body climate and high wearing comfort on the horses leg Eskadron uses breathable, perforated neoprene. Mesh-protected air channels in the outer shell ensure ideal air circulation. Furthermore, the bordered neoprene supports the optimum knock absorption properties for the boot which is also very easy-care. Ideal protection against knocks and bangs is guaranteed by the very reliable TPE outer shell which is also further reinfored in the rear area. The specially moulded ergot area and the flexisoft zone ensure optimum freedom of movement. The new closing system of the Flexisoft AIR EASY boots with the special click fastening device makes the boot easy, secure and fast to put on and take off. 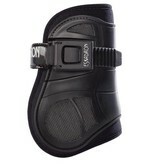 It also ensures an individual fit on the horses leg.